To see more details of a particular hole, click the hole number. To see more details of a particular hole, click the hole number. 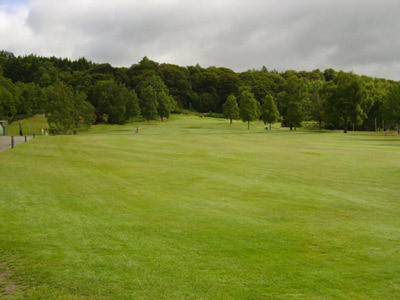 Yardage posts are located 100 yards and 150 yards from the centre of the greens. 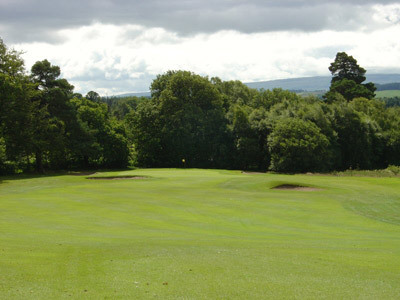 The first hole is a par 4 with fairway bunkers right and left. 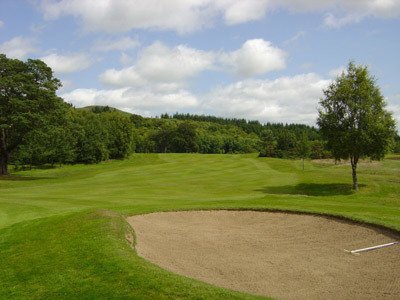 Your first shot is a dilemma - do you play short, through or over the bunkers. The plateau green is protected by a bunker to the right. Tip: aim your approach shot at the big rock behind the green. The second hole is deceptive. Accuracy both in line and distance is the key to obtaining par or better. Pull to the left or push to the right and you could be in trouble. However, remember there is no trouble over the green. The third hole is relatively straightforward. Drive to the marker and the green opens out in front of you. Tips: play to the right for a clear second shot. For big hitters, aim between the Pro’s shop and the lounge to have a chance to catch the green. The green itself tends to run right to left. The fourth is protected by trees right and left and a large fairway bunker within reach of the longer hitters. Tip: aim your approach shot left of the flag. 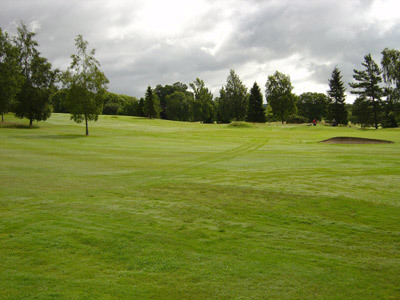 The fifth is a par 3 over a hidden fairway ditch, with greenside bunkers left and right. 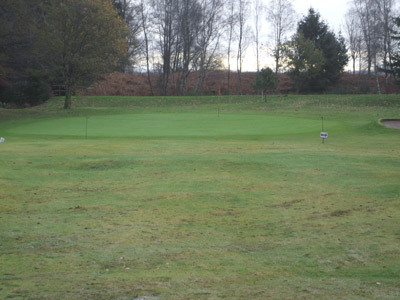 Length and accuracy are important to hold the saucer green to secure your birdie or par. 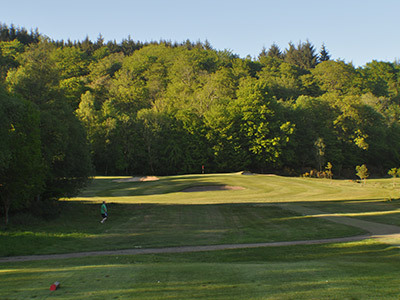 The sixth is a classic hole, between trees, to a well-protected plateau green. 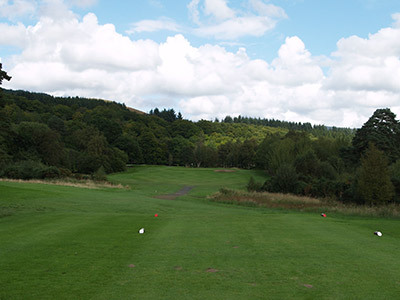 Tips: for a clear approach, a drive must be on the left half of the fairway. For the higher handicapper, lay-up short of the fairway bunker. The seventh involves a blind shot between trees, with fairway and greenside bunkers right and left, increasing the hole’s complexity. Tip: the green runs front to back and left to right. 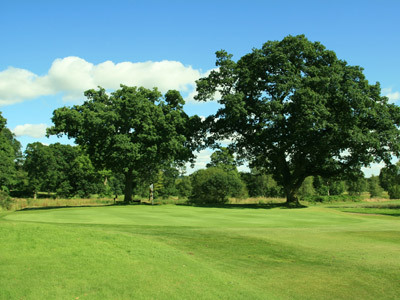 The secret to scoring well at the eighth is the approach shot to the green - you require to play short and run on or pitch with backspin and hold. The ninth is a long par 3 to a plateau green, protected by a greenside bunker on the right. Tip: you can take a free drop if you land short of the blue post markers. 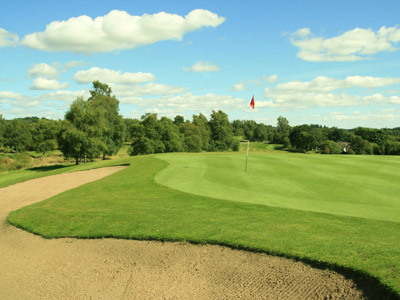 The tenth is another deceptive hole - the front bunker looks nearer than it is. A hog’s back green awaits to test your putting. 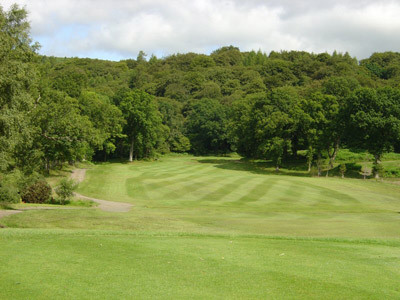 The eleventh is another classic, with a shot over a stream to a green protected by bunkers left and right. A birdie opportunity. 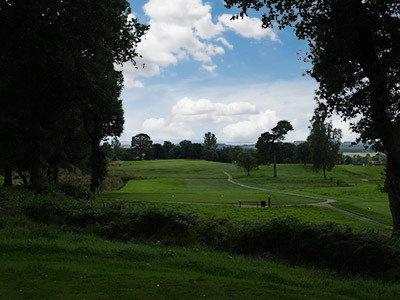 At Stroke Index 1, the twelfth requires a straight tee-shot to the top of the rise and an accurate second to one of the largest greens on the course. 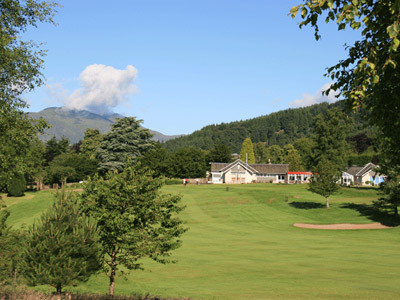 Tip: as you approach the green, look right and admire the stunning views to the Trossachs. 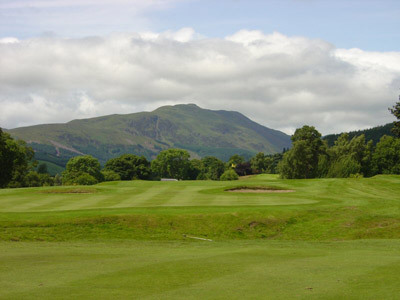 Thirteen sits on a plateau green with bunkers left and right. Tip: judging distance with your approach is key. At fourteen, there is an out-of-bounds to the left and trouble on the right, so length and accuracy are important. 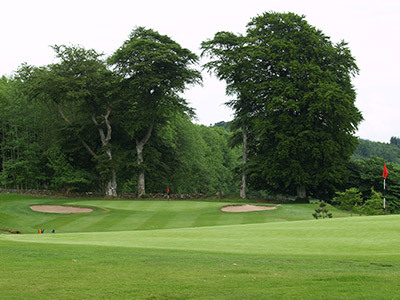 Tip: avoid the tree on the left – it has caught out many golfers. 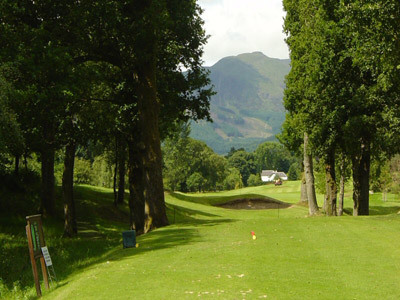 Fifteen is the Course’s ‘Signature Hole’ – through an avenue of trees with Ben Ledi standing tall behind. A classic short par 3. 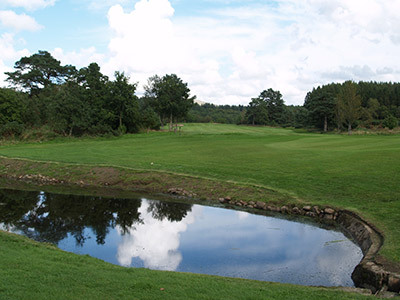 At sixteen, land your tee-shot short of the pond on the widest fairway on the course and pitch to the green. Tip: overshoot and you will land in a hidden bunker. Seventeen is a longish hole to a green perched on top of ‘Mount Pisgah’ (looking to the ‘Promised Land’ of the clubhouse) with a bunker on the right. Tip: the fringe from the top of the rise to the putting surface is around fifteen paces. 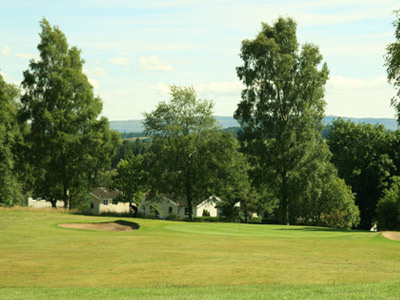 Eighteen and ‘Home’ is a relatively straight-forward par 4, until you reach the green. 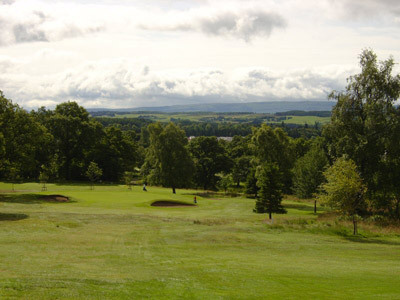 This has been likened to Augusta by a local ‘Master’. Tip: the green runs right to left and an uphill putt is desirable. The rest is up to you!